I am so excited to tell you about the collaboration I am a part of - Confection Connection. 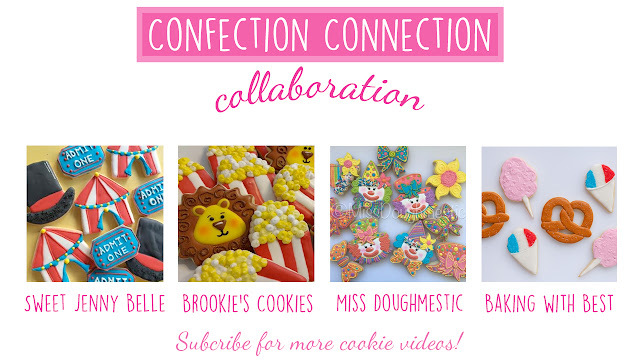 I have teamed up with Baking With Best, Brookie's Cookies and Miss Doughmestic. We will be bringing you amazing themed cookie tutorials every month on YouTube and our blogs. This month we are headed to the circus for cotton candy, clowns, lions and circus tents! 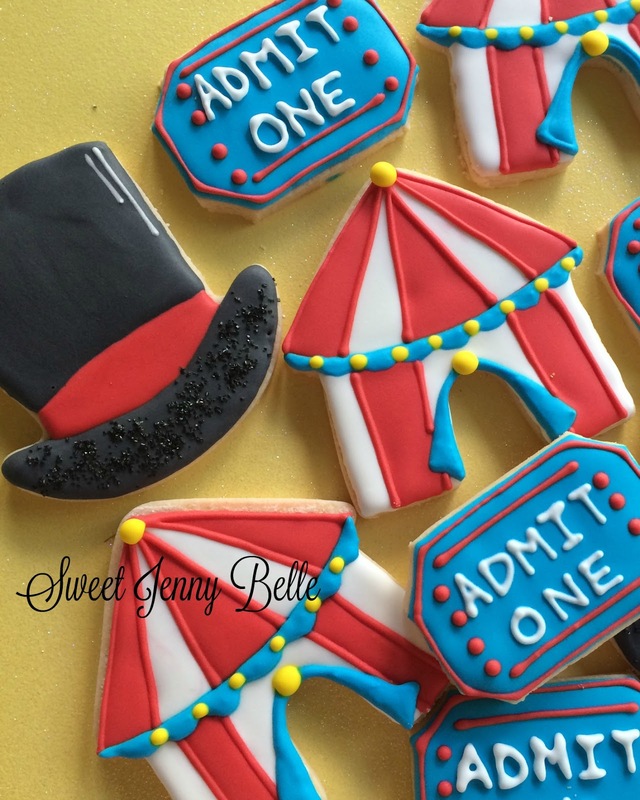 Today I am presenting circus tickets and carnival tents, easy and fun. Stop by my Instagram later this week to see the easy big tent hat! 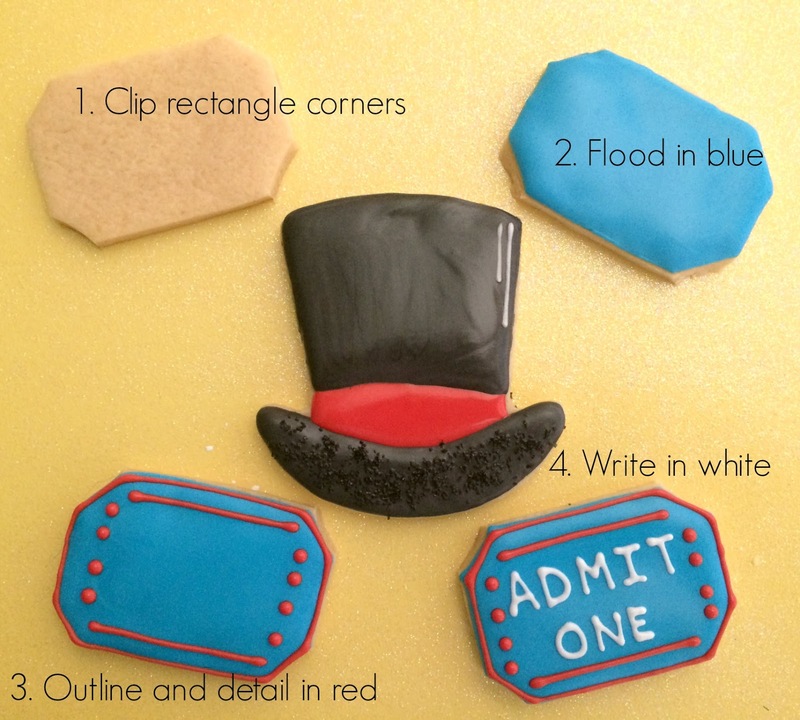 Want to see the cookie decorating in action? Click on over and watch the video! Let me know if you have any questions! 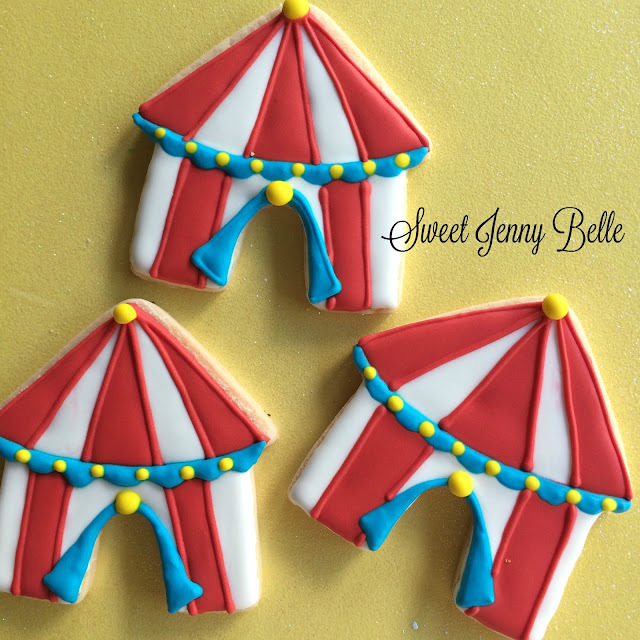 Need a great royal icing recipe? Click here for my favorite one! 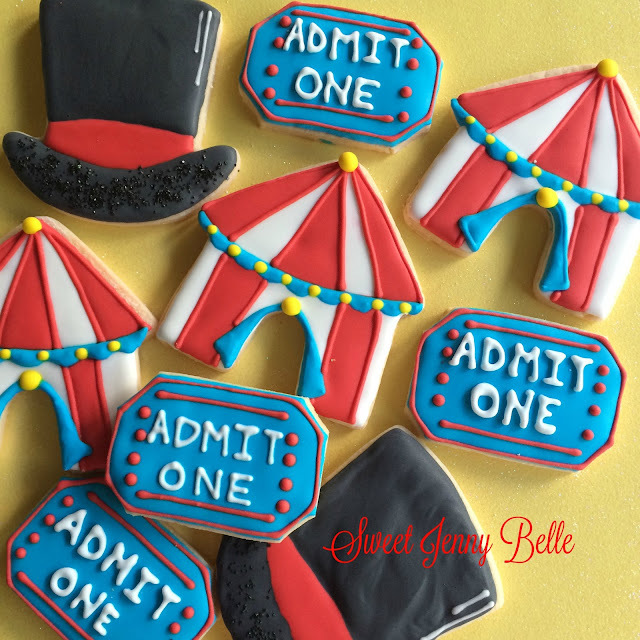 Be sure to come back tomorrow for more circus fun from Brookie's Cookies.